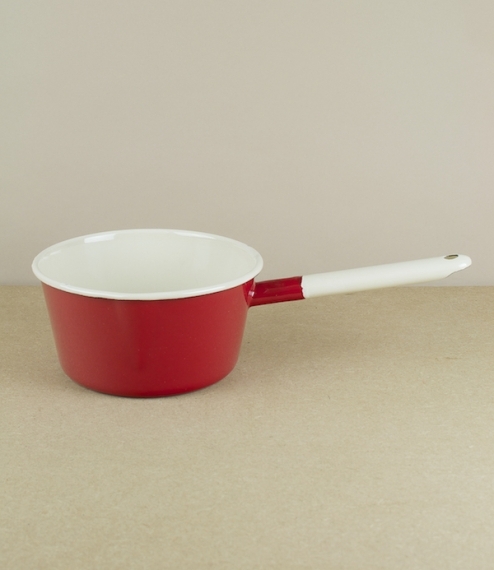 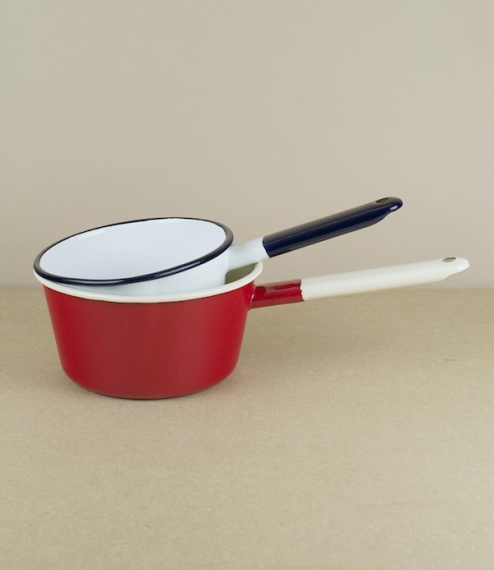 A red and cream enamel saucepan with a slight spout, about 14cm diameter and 0.7l capacity. 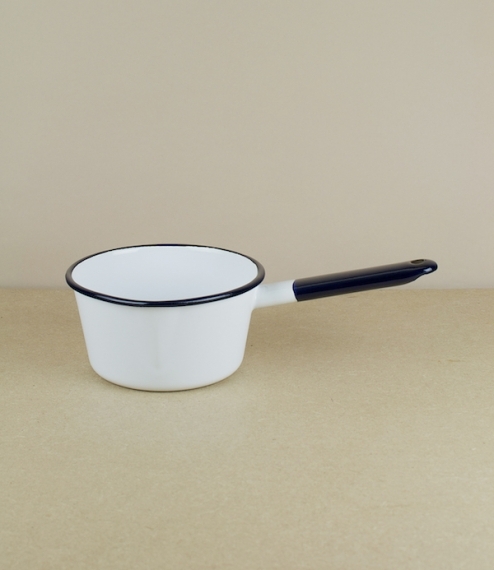 Made in Olkusz, Poland, at a factory founded in 1907 by the Viennese industrialist Peter Westen and flourishing to this day, despite the vagaries of nationalisation, privatisation, two world wars, and a brief closure in 1914 after falling into Austrian hands. 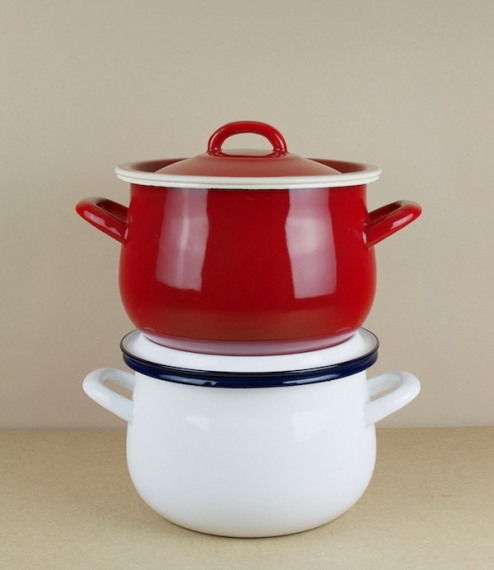 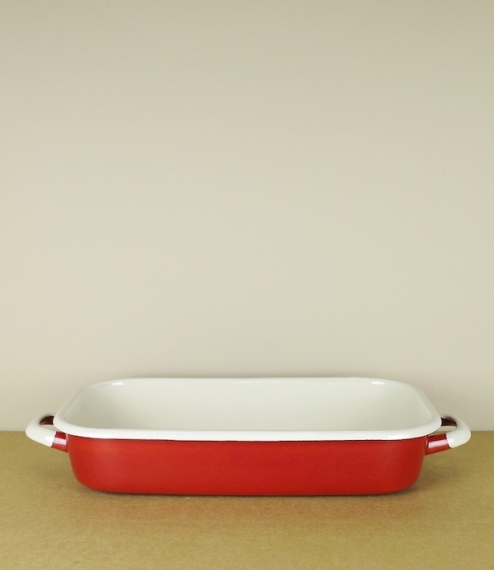 All Olkusz enamelware is triple coated onto a heavy steel base, is dishwasher safe, and suitable for use on induction, ceramic, and traditional hobs.